From Quilt in a Day and Eleanor Burns. 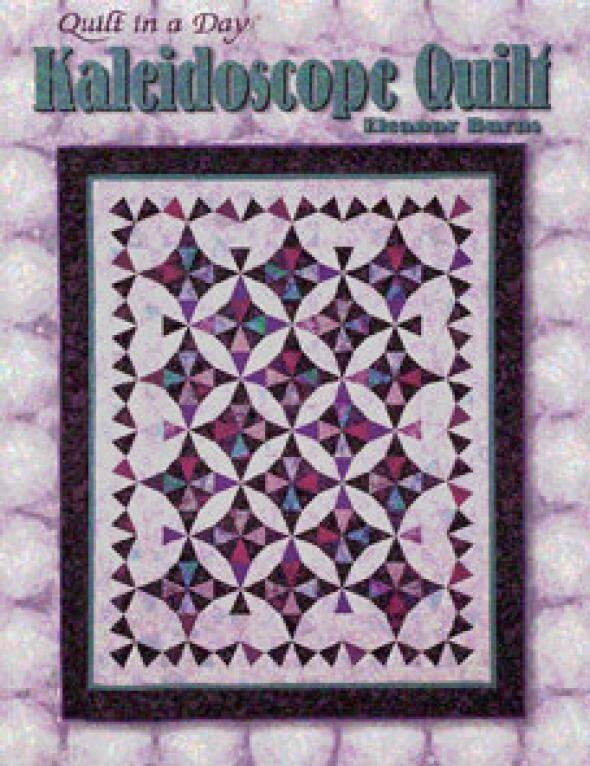 Eleanor's book leads you step-by-step through selecting your fabric, cutting and sewing triangles, and finishing your quilt. Find out how the Kaleidoscope's intricate designs can be created by your placement of lights, mediums, and darks.